Elaine M. Riccio, 63, a lifelong resident of New Britain, passed away peacefully on Feb. 1, 2019, at her home with her family at her side. Born on Nov. 22, 1955, in New Britain, Elaine was the daughter of the late Helen (Hrenko) Maciag and Henry Maciag of New Britain, and the beloved wife of Victor A. Riccio II. 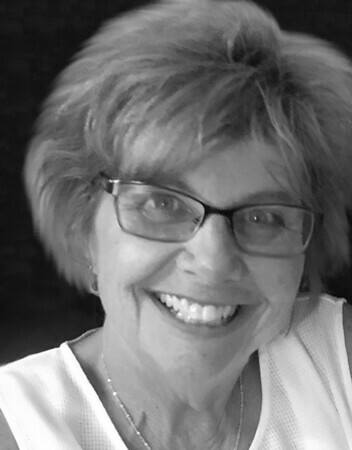 Elaine graduated from Pulaski High School and graduated in 1977 from Central Connecticut State College in New Britain, with a bachelor’s degree in education. After graduation, Elaine taught at St. Anthony’s School in Bristol, before moving on to Fafnir Bearing Company in New Britain, and Sears in West Hartford, where she was employed for over 40 years. Starting in 2013, Elaine was the site coordinator for the Family Resource Center at Thomas Jefferson School in New Britain and she held several positions in the New Britain School District since 1995. Elaine loved vacationing with her husband and family, especially on the southern coast of Maine and at Disney World in Florida, as well as spending time with her Dad at Mohegan Sun Casino. Besides her husband, Victor, and father, Henry, Elaine is survived by her sons, Daniel Riccio and his wife, Jennifer of New Britain, and Joseph Riccio of Newington, her daughter, Julie Alvey and her husband, Philip of Preston, her brother, Thomas Maciag and his wife, Eileen of Berlin, and sisters, Susan Abucewicz and her husband, Roger of New Britain, and Joann Keith and her husband, Andrew of Cromwell, as well as her beloved granddaughter, Ava Grace Riccio. The family would like to thank Dr. Alekshun and his team as well as the entire Infusion Center staff and nurses at Starling Physicians in Wethersfield, for all the care, support, and love they provided to Elaine during her multitude of treatments, with a special thanks to Elaine’s nurse, Kate. Thanks also to Dr. Eder and his staff at the Smilow Cancer Hospital at Yale, New Haven, for their care and efforts. Funeral services for Elaine will begin on Friday morning, Feb. 8, 2019, at 8:30 a.m. at the Burritt Hill Funeral Home, 332 Burritt St., New Britain, with the Mass of Christian Burial at 9:30 a.m. at Sacred Heart Church, New Britain. She will be lovingly laid to rest in Rose Hill Memorial Park, Rocky Hill. Relatives and friends are invited to call on Thursday evening, Feb. 7, from 4 to 8 p.m. at Burritt Hill Funeral Home. Those who wish may make memorial donations to St. Jude’s Children’s Research Hospital, 515 St. Jude Place, Memphis, TN 38105. To leave an online expression of sympathy for the funeral home, please visit www.burritthillfuneralhome.com . Posted in New Britain Herald, on Tuesday, 5 February 2019 19:23. Updated: Tuesday, 5 February 2019 19:25.